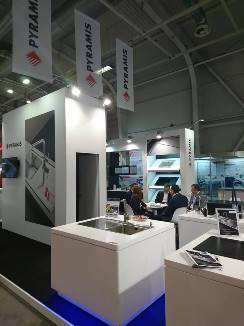 Pyramis, the Greek manufacturing company with the intense export focus, attended 2 major foreign exhibitions last month. 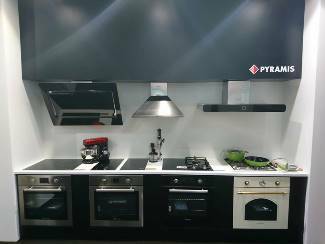 As every year, Pyramis was present at the 123th Canton Fair this year too, which took place in China between 15-19/04. 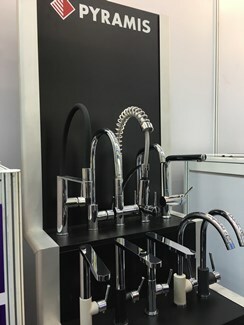 Current and potential customers visited our booth expressing their keen interest in our wide product portfolio and our integrated proposals in stainless steel and granite sinks as well as kitchen taps. It is worth to mention that Canton Fair is visited by more than 200.000 every year that come from over 200 countries. 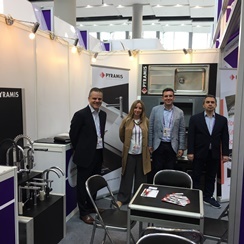 A few days later, through our subsidiary, Pyramis Bulgaria, our company participated in Technomebel 2018 which was held in Sofia between 24-27/04. 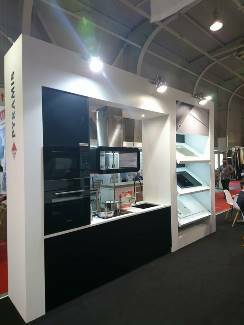 In an impressive booth of 70cm2 we had the opportunity to present our extended product range and novelties. 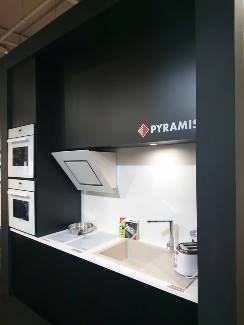 Among 185 exhibitors and 11.000 visitors, Pyramis, with its known quality and modern design, managed to stand out. 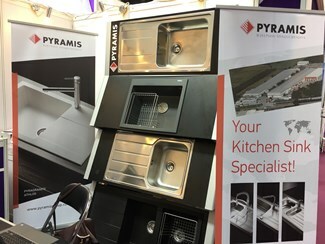 Stainless steel and granite sinks, kitchen taps, ovens, hobs,cooker hoods won the day offering custom solutions for the most demanding customers.